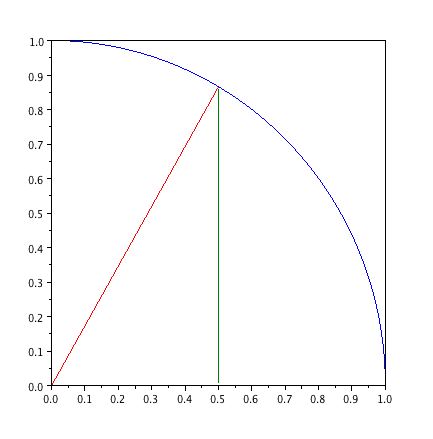 The above figure shows the graph of for . Let This gives the area bounded by the graphs of . We break this down into the wedge shaped area and the triangle. Wedge shaped area: has area equal to where is the angle made by the axis and the radius. Here’s a video of this from my MOOCulus course.